If you live in any of the central or northern United States you have probably had a snow day ,or 5, this past week. Snow days are great because we can sleep in and lounge in pj’s longer than on regular days (unless you shop at Walmart). You don’t have to wear make-up or fix up your hair. You can make soup, chili and homemade bread. You can watch TV and look at Pinterest for hours on end. These are things I love to do on a snow day. But when a snow day turns into 3 or 4 days I start to get antsy. And when I get antsy I usually start tidying things. 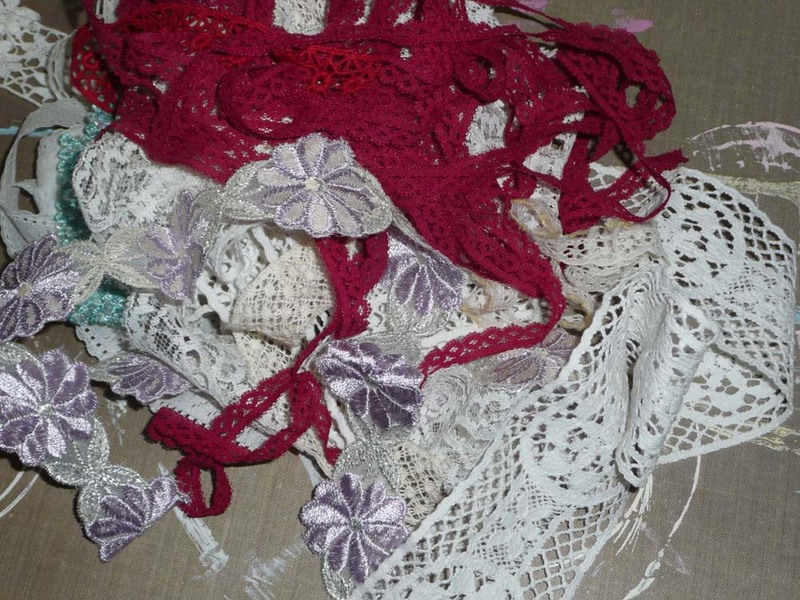 If any of you look on my Etsy shop, Mossy Cottage, you will notice I have posted quite a few laces and trims this last week. Some of them are so beautiful I just had to keep some for myself. Yeah, like I need more trim. Combine pieces of lace, boredom, and a need to use glitter and this is the project I started. 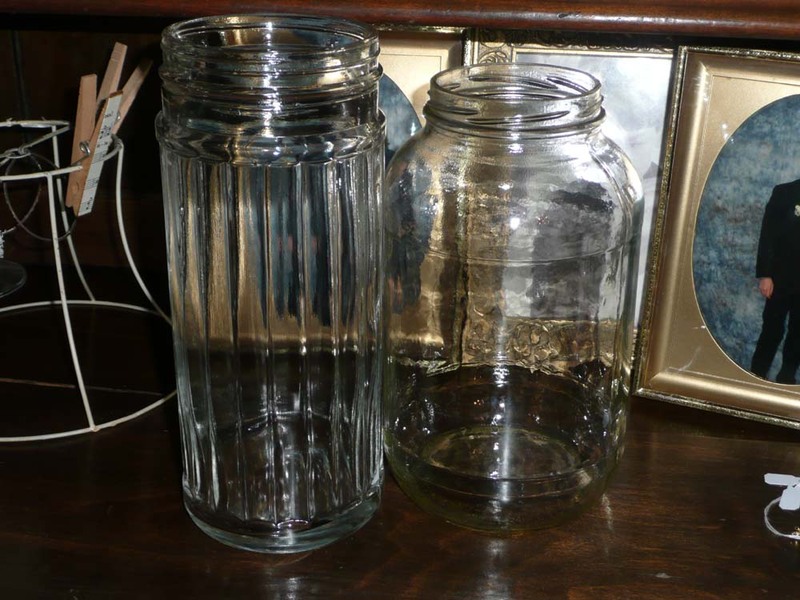 First I got two very large jars. 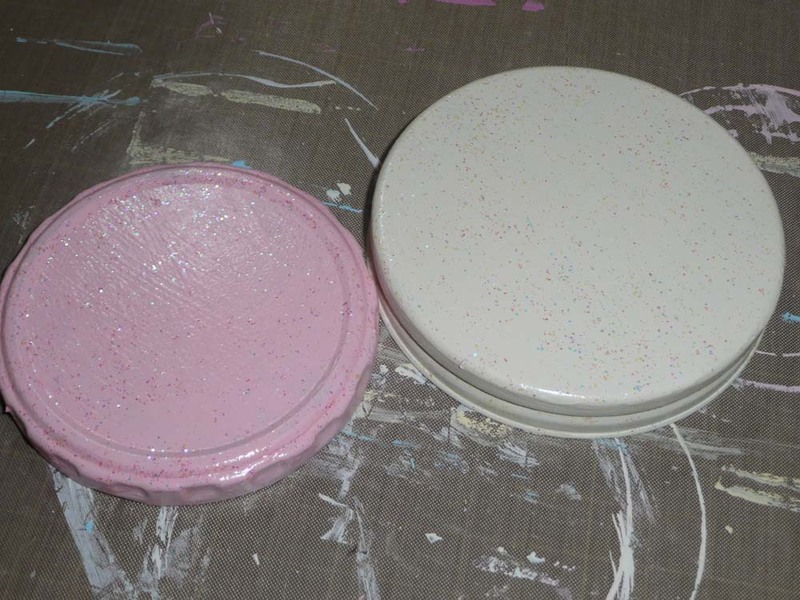 I painted the lids and then covered them with Delta Ceramcoat Sparkle Glaze. It is a protective coating that has glitter in it. When it is dry, the glitter is sealed in and won’t come off. I LOVE THIS STUFF! Aren’t these lids adorable?! 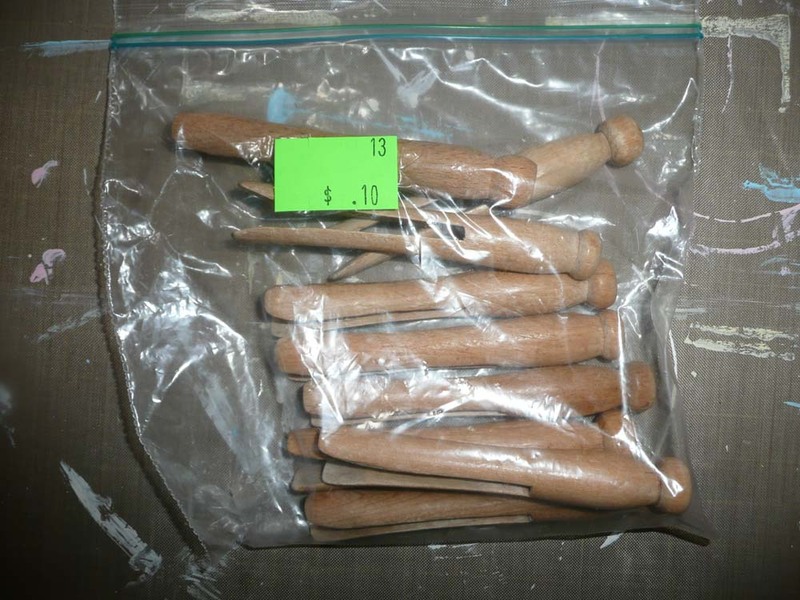 I got out some of my vintage clothes pegs. 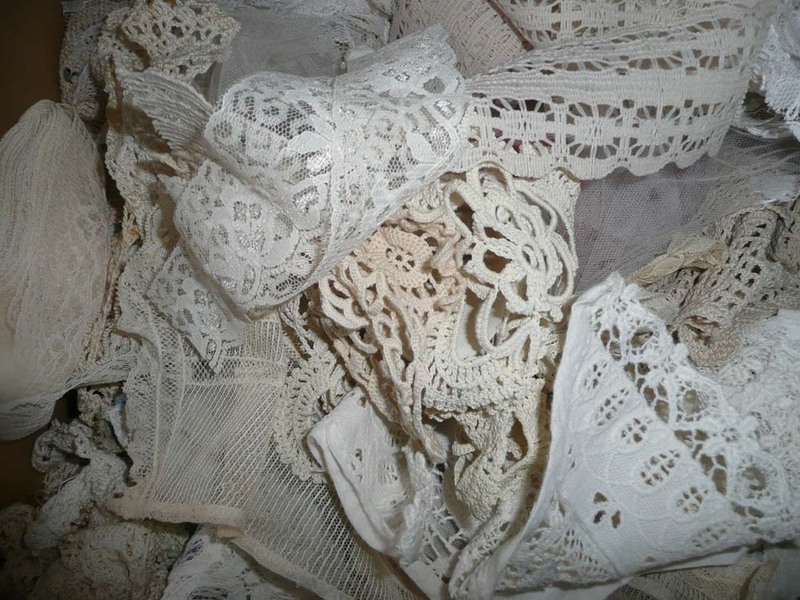 And the pieces of lace I saved from my Etsy listings. 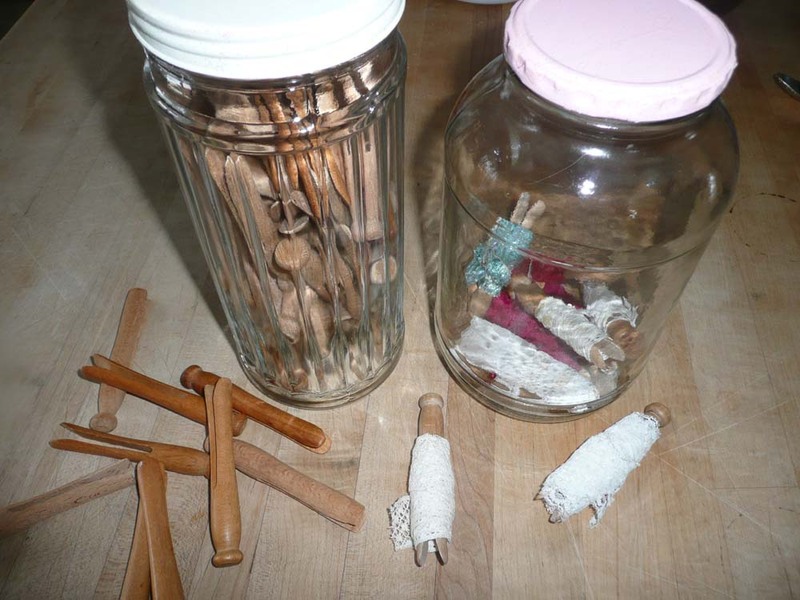 I wound the lace around the clothes pegs, secured the ends with pins, and popped them into one of the jars. The other jar is still full of clothes pegs ready to tackle this….. This is my HUGE box of jumbled up laces. So all I can say now is….let is snow!! !